Saturday, the Northern Ute tribe hosts a competitive powwow at Aspen High School. The event features professional dancers and drummers in traditional regalia from the Ute, Lakota, Hopi, Cheyenne, Apache and Cherokee Nations. Deane Vitrac-Kessler from the Aspen Ute Foundation says powwows give different tribes the chance to connect. "It’s a good opportunity to bring the communities together, and by doing so, we realize that we all are the same," says Vitrac-Kessler. Vitrac-Kessler says the event will be interactive; participants can learn traditional dances and drum with powwow performers. 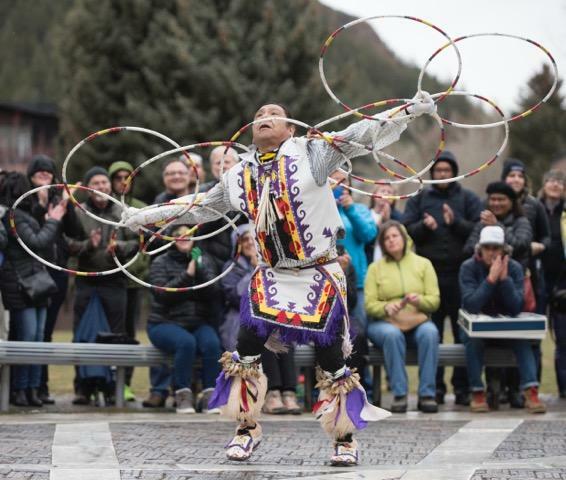 Champion Hopi dancer Norman Roach will make his Aspen debut. He’s recognized as one of the top powwow dancers in the U.S.
A grand entrance kicks off at 5 p.m. with a procession of tribal representatives. Dancing and drumming contests will be followed by a “unity dance” that brings performers from all tribes together.